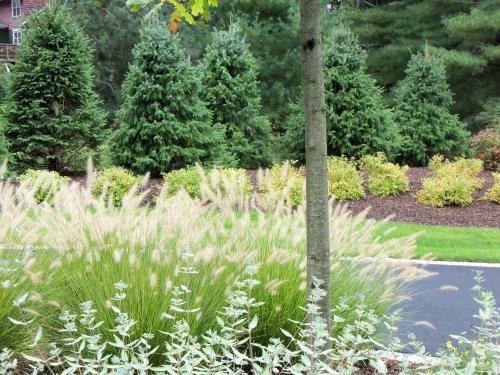 Jacobsen Landscape has delivered exceptional landscaping services to the residents of Mahwah, New Jersey for over thirty-five years. Our presence in the community and reputation as an outstanding landscape contractor is the result of numerous award-winning projects and many loyal clients. Landscape Design & Build, including outdoor kitchens, fireplaces, retaining walls, walkways and patios, water features, and more! 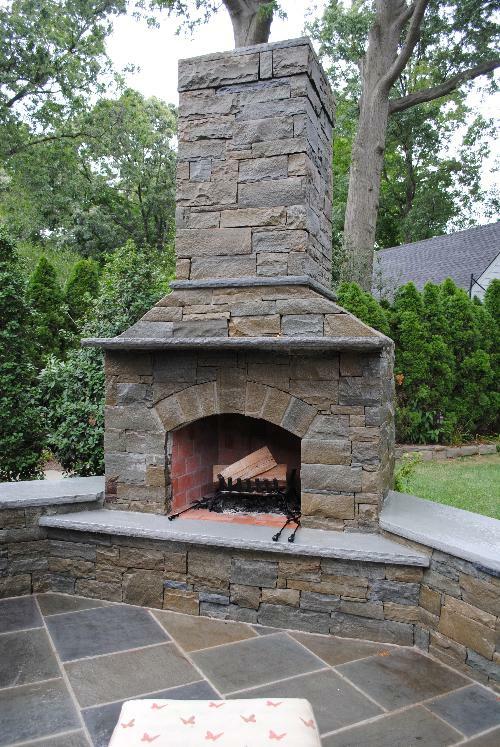 We invite you to learn more about our company and how our team can transform your Mahwah property into an outdoor living space unlike any other. 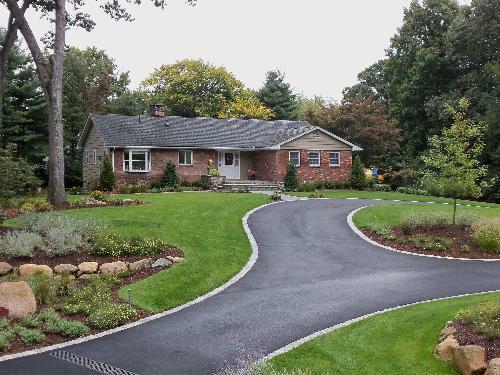 In the photos below, our landscape designer Emil Rostello, Jr., designed and installed a wet laid patterned bluestone porch with natural stone veneer for these Mahwah, NJ homeowners. 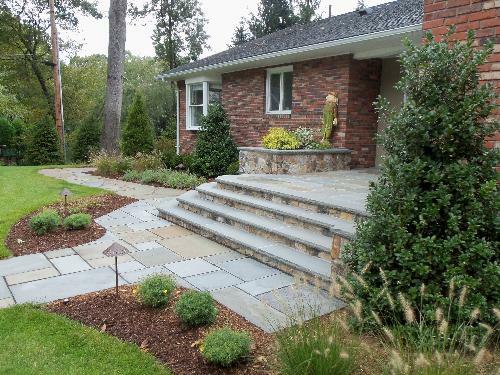 The formal front walk is also patterned bluestone and the more informal walkway to the backyard is made of irregular bluestone. 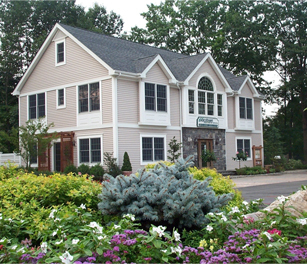 All the shrubs and perennials in these shots are deer resistant which is very important in Mahwah.